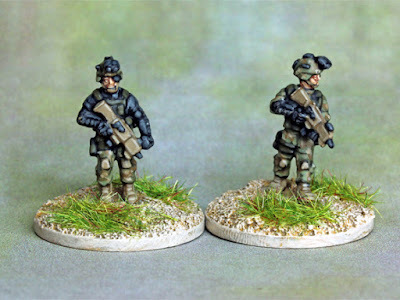 15mm near future military types from Khurasan. I love the pose of the figure on the left, he reminds me of one of the Battlefield games I used to play on the xbox. These guys will be the 'red shirts' for most of my 15mm adventure/hollywood projects. I've got a dozen or so , all in different poses, so expect more pics over the next few days.